Join IHRC for an author evening with Amrit Wilson to discuss the new and expanded edition of her book Finding A Voice: Asian Women in Britain. Forty years after its first publication, this path-breaking book, is being republished. The 2018 edition includes a new introduction by the author Amrit Wilson, a preface by Meena Kandasamy, and a remarkable new chapter titled ‘In conversation with Finding a Voice: 40 years on’ in which younger South Asian women write about their own lives and struggles weaving them around those portrayed in the book. It also contains a series of historic photographs. 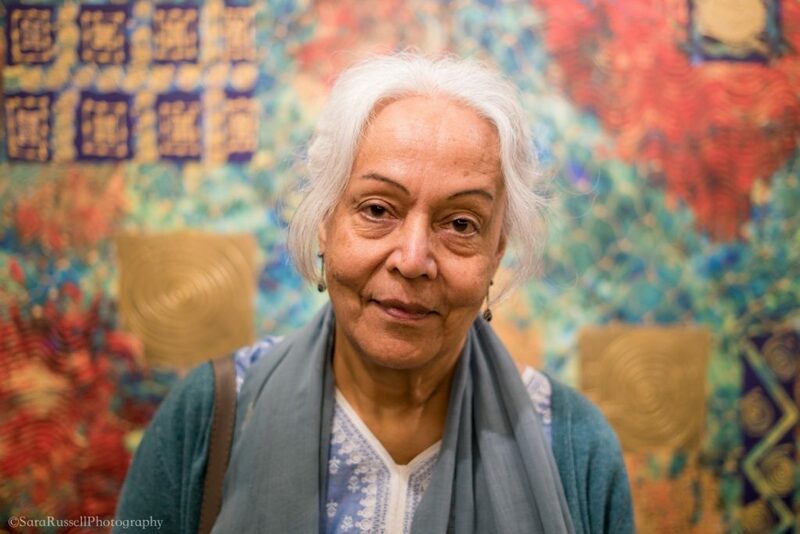 First published in 1978, Finding a Voice established a new discourse on South Asian women’s lives and struggles in Britain. Through discussions, interviews and intimate one-to-one conversations with South Asian women, in Urdu, Hindi, Bengali and English, it explored family relationships, the violence of immigration policies, deeply colonial mental health services, growing militancy at work and also friendship and love. The seventies was a time of some iconic anti-racist and working-class struggles. They are presented here from the point of view of the women who participated in and led them. ‘The women in the book were standing on the threshold of today’s neoliberal era. Some of them had witnessed and noted its onset. Their intense struggles both public and private are profoundly important today, many of them are being fought again on a changed terrain. If we can resist the continual buzz that tells us we are deviant when we fight back, that we should seek self improvement rather than social transformation, that we need role models and not sisters in struggle; if we can remember our rich collective past, we will find ourselves stronger in the battles ahead.’ Amrit Wilson, Reclaiming our collective past as an act of resistance’ – introduction to the 2018 edition of Finding a Voice. Amrit Wilson is a writer and activist on issues of race and gender in Britain and South Asian politics. She is a member of South Asia Solidarity Group an anti-imperialist, anti-racist organization with a revolutionary Left perspective based in Britain. The group is committed to supporting, publicising, and building solidarity with people’s struggles for justice and democracy and against exploitation, gender, caste based oppression, Islamophobia, war and the so-called ‘war on terror’ in the countries of South Asia. It analyses the links between the global, US-led ‘war on terror’, neoliberal economic policies (which mean corporate plunder of the people and resources of South Asia) and the current human rights violations, ruthless policies of ‘austerity’ and intense racism and Islamophobia of the British state. Amrit’s books include Finding a Voice: Asian Women in Britain (London: Virago, 1978) which won the Martin Luther King Award, Dreams Questions Struggles: South Asian Women in Britain (London: Pluto Press, 2006) Her more recent publications of relevance include ‘A Fine Bromance, the Corporates and The Hindu Right: On Narendra Modi’s First Six Months in Power’ in the Guardian ‘Narendra Modi as prime minister would roll back women’s rights in India’ and ‘When will the Kashmiri nightmare end?